Δελτίο τύπου: «Universe started in 1982 in Upplands Väsby, Sweden, where hard rock ruled the streets. The members hailed from several different local bands. After leaving the band Moon, lead guitarist Michael Kling, who founded the band WC in the late 70's with John Norum, became one of Universe’s founding members. Bassist Hasse Hagman, who played in Joey Tempest's first band, along with drummer Anders Wetterström and guitarist Per Nilsson, all came from the band Twilight. 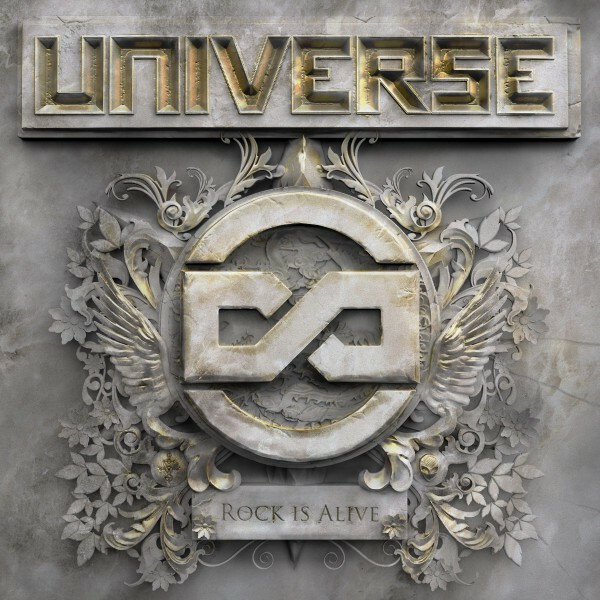 Once Universe got their hands on keyboard player Fredrik Kriström and singer Kjell Wallen, the band was complete. They played diligently for a couple of years all over Sweden, opening for Nazareth, among many other gigs. In 1985, the band released its self-titled debut album with songs like "Rollin’ On", "Stories from the Old Days", and "Strong Vibrations". In 1986, Kjell Wallen left the band on good terms following creative differences and was subsequently replaced by Janne Åström. With Janne as the new frontman, the band focused fully on a follow-up to their debut album. Several demos were recorded but never ended up in the right hands. The band dissolved in early 1988 and then had a short reunion for a final show in the ice hall in Upplands Väsby later that year. The band members went their separate ways, each showing up here and there in different contexts with connections to music. Everyone maintained occasional contact and eventually Per Nilsson reached out to the others to see if they were interested in playing together again. In 2002, all the members met up together for the first time in 14 years. They immediately knew they wanted to play again, and became convinced that the old material still had potential. Everyone agreed that a new album had to be released, but also that they were being pulled in different directions. For several years they kept continuous contact, waiting for the time when recording an album became inevitable. At first, Universe lacked a singer, but suddenly one day he was just there. Andreas Eklund (ex-House Of Shakira) became the new front man, his narrative lyrics and tasteful melodies opening the door to another dimension, so the band could take a bigger step into the galaxy. 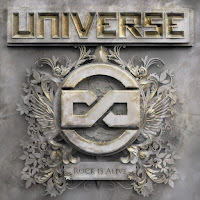 Now, finally, Universe is back as Universe Infinity with "Rock Is Alive", a powerful album that is a tribute to the music of the 70’s and 80's, and to their youth in Upplands Väsby. " Video: "Start Give All Your Love"